'What matters is that India's perspective on global issues -- climate change, intellectual property, free trade, trade routes being kept free, digital technology -- are listened to with respect,' says Ambassador B S Prakash. 'The fog of war' is a well-known expression, especially among those interested in history or in issues of war and peace. Used famously by then United States defence secretary Robert B McNamara during the Vietnam years, it connotes that whatever be your objectives or strategies, once a war starts, clarity disappears: There are unfathomable happenings, unpredictable turn of events, unintended consequences. It will not be a world of reason or coherence, however orderly and methodical the generals who run the war are. But the 'fog of strategy'? Absence of coherence, clarity, method and purpose in big thinking about the 'world order'? This thought struck me, appropriately enough, in the real fog of Delhi in January, as I recently sat through and listened to world's punditry hold forth on the great issues of the day. Delhi in winter is a seminarwallah's delight. Despite the disaster in recent years of its smog and gas-chamber reputation, hundreds of self-proclaimed thought leaders descend on the capital during the winter break. The auditoriums and atriums of half a dozen intellectual hubs -- the India International Centre, the India Habitat Centre, other acronyms IDSA, CPR, ORF etc -- reverberate with heavy-weight discussion of ideas and ideals. Researchers from MIT rub shoulders with IITians, NYUans are challenged by JNUites and so on. To add to this heavy mix, we have the 'Raisina Dialogue', a high-prestige, high-octane and high-glamour discussion on mega geo-political and geo-strategic issues. Organised by the ministry of external affairs and ORF (the Observer Research Foundation), India's most ambitious think-tank, it has catapulted Delhi into being a part of the big league international seminar circuit. It is being included as a 'must attend' event in the calendar for the Conference-elite, in the list of the Davos symposia, the Shangri-La dialogue, the Munich security conference, and such like. A life time in diplomacy and a continued addiction to discussing subjects like 'the world in transition' has made me attend half a dozen discussions already this winter, including the Raisina Dialogue. Every season, the buzz word and priority themes change in such events. It used to be the 'end of the cold war' in 1990; turned to the 'end of history' thereafter, thanks to a false prophet, no longer fashionable; 'globalisation and its benefits' reigned for some years to turn to globalisation and its malcontents, more recently; 'Arab spring' made its appearance briefly to be followed by 'Regime change' soon thereafter. What are the current favorite themes and what are the convergences, if any, among the contending views? Let me attempt a five-point summary. I have learnt from such seminars that it is fashionable to condense your thinking into a three to five point summary, however abstruse or wooly your thinking. Otherwise in an era of twitter and WhatsApp, your audience evaporates, before you even introduce your subject. In that spirit, here is a short guide to what the 'strategic community' will be discussing in 2019. 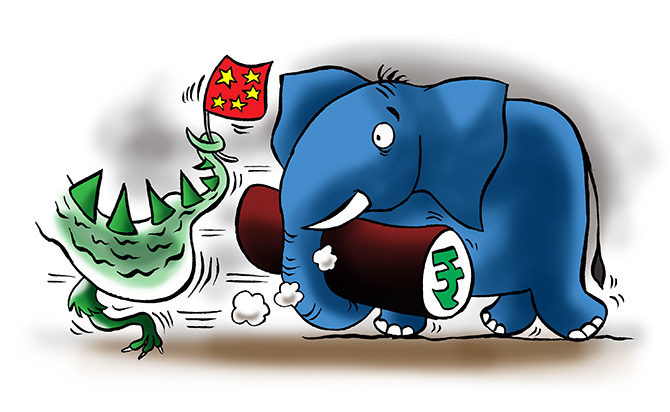 The most important point on which there is agreement among scholars of all stripes is that US-China confrontation will be the number one theme this year and possibly till 2022. America has implicitly declared war on China and this is not just Trump or his VP Pence, who has given voice to it most explicitly. 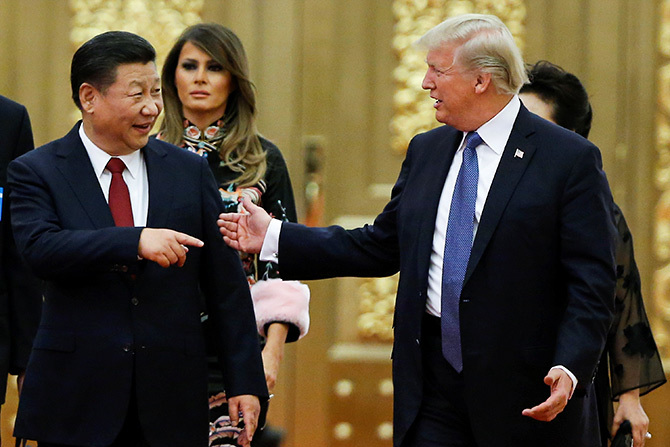 Experts have reached the conclusion that all segments of the American establishment -- the White House, the Republicans and Democrats, the Pentagon, and the CIA, the military-industrial complex, the Ivy League universities and labs, the Wall Street and even Silicon Valley, by and large -- now subscribe to the idea of a rising China as a threat to American interests. They, however, admit that America and China are too closely entangled in many dimensions, for the confrontation to become an actual war. The idea that the two will work together under what was termed as Group-2 to dominate the rest of the world has disappeared. The 'confrontation' will be on multiple fronts: Trade, as we have already seen; larger economic issues; technology theft and transfers; control of the maritime routes, to name a few. Contention and conflict, among these giants is thus the over-riding theme for the strategists. 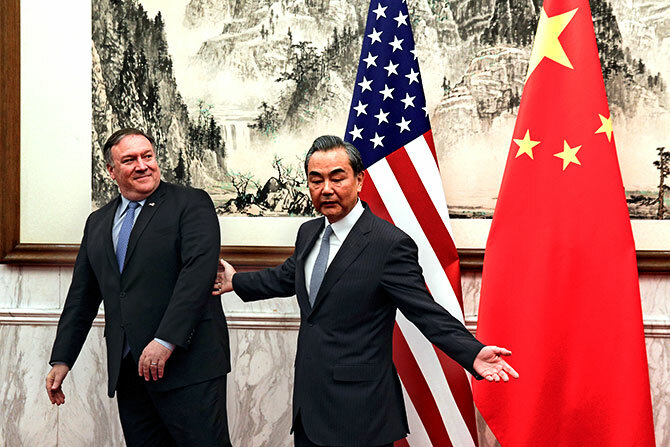 Within that framework, there are relative optimists who believe that compromises will be made with face-saving for both Xi Jinping and Trump, and others who see structural reasons for a scenario of long-term hostility. The resurgence of Russia, under Putin's dynamic leadership is also identified as a new factor to be kept in mind in 2019. What Russia has accomplished in Syria (and sustained in Ukraine, Crimea) demonstrates its ambition and capability. 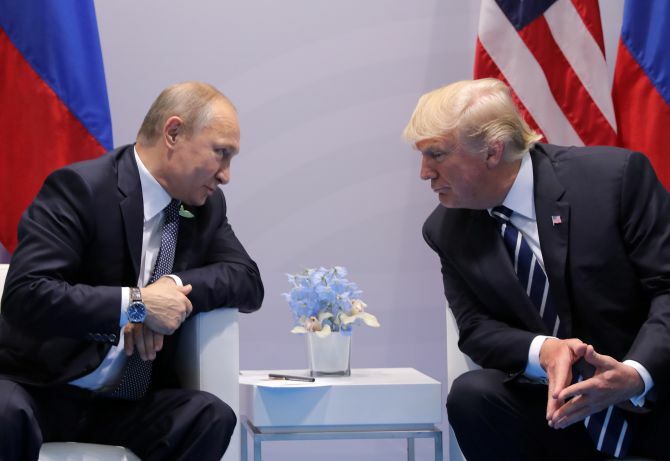 One of the mysteries in the current climate is why the American Deep State (a mysterious term in itself) is so hostile to Russia, even as Trump is itching to normalise relations with Putin. In contrast to Russia's rise, there is sorrowful acceptance about the decline and disorder in Europe. Even European leaders at these meetings lament about its disunity, disenchantment with the norms and values approach that they advocated, and the gradual dismantling of their bonds with the US. Unless you are a Brit, there is a suppressed glee about the miseries of Brexit, whichever way it may turn out! The third point is about the transformations that new technologies will bring. There is much buzz about Artificial intelligence, Big Data, Robotics, Predictive Analytics, Autonomous Weapon Systems etc, most of which sound so futuristic and esoteric that only the younger sections in the attendees of conferences seem to recognise even the concepts! But I can tell you, after attending many such talks, that these will impact on our world -- and on our wars -- the way Google or Amazon hit us, a decade ago. The Man-Machine interface is what we will be worrying about in 2025, I learnt from authoritative speakers. Most accept -- and not only Indians -- that the sheer size of India, its location, and capabilities makes it a 'power', say among the first six, though there may be a quibble about the ranking. 'Great Power', 'Leading Power', 'Asian Power' -- these are the words bandied around, but what matters is that India's perspective on global issues -- climate change, intellectual property, free trade, trade routes being kept free, digital technology -- are listened to with respect. On strategic or security related issues, 'Balancing', 'Hedging', 'Strategic autonomy', are the kinds of concepts advocated as India's policy options implying overall that when the US and China are in fighting mode, India should maneuver its positions cleverly and see how to safeguard its interests. Our neighbourhood headaches - Pakistan, Nepal, Sri Lanka -- does not figure in the big picture. Only Afghanistan does, with a great deal of uncertainty about its future. An intelligent Indian participant in a global forum can talk meaningfully to all -- American, Russian, Chinese, Arab, Iranian, European, African and other -- interlocutors and this is a tribute to our approach and style. Final point. There is fog ahead in the future and the so-called thought leaders are groping forward, uncertain of where the world is headed. B S Prakash is a former Ambassador and a long-standing Rediff.com columnist whose earlier columns can be accessed here. How good are India's diplomats? How Indian diplomacy has changed! Anyone know what Modi and Xi discussed?